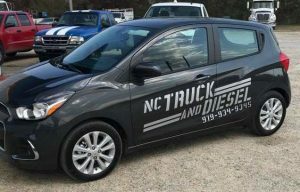 We are central North Carolina’s premier truck and diesel service and repair shop. Everyone at our shop has one primary goal and that is to get you back on the road quickly with a repair job that was done right and didn’t cost and arm and a leg. From day one, NC Truck and Diesel has been about providing top quality service to our customers and at the best possible price. With our experience and training we can handle all of your needs, from routine maintenance to a full truck-engine overhaul. NC Truck and Diesel has made a name for itself by consistently providing top quality workmanship on each and every truck repair. Our certified truck repair technicians can repair and service all kinds of trucks and NC Truck and Diesel has an extensive inventory of parts to get your repair job done fast. We also use diagnostic equipment to help pin point any problem your truck is having so that we can get you back on the road quickly. Providing a fast, efficient repair and service experience for our customers is a primary concern of ours. When it comes to semi trucks, heavy and medium duty trucks, diesel trucks and other commercial trucks, we are the go-to repair service in central North Carolina. We do everything from oil changes to major repairs. We have some of the best truck repair technicians in the area and are experts at repairing trucks quickly and done right the first time. If you are looking for high quality repairs and service for your truck that are reasonably priced, call us today! 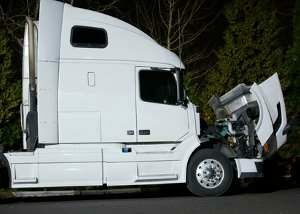 Read more about our Truck Repair services. If you need quality parts for your heavy duty truck, medium duty truck, diesel truck or other commercial truck, call us or stop by. We have a big selection of quality parts in stock so that you can get your truck back in working condition and on the road.  At NC Truck and Diesel, we understand that having your truck in the shop not only costs you money in terms of the repair, but also that being off the road is costing you money. Everyone in our operation understands the importance of getting you back on the road as soon as possible and is committed to that cause. Most of our deliveries happen the day the parts are requested. 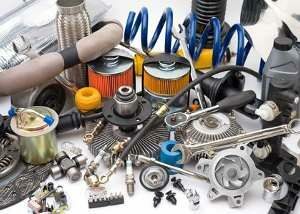 Read more about or truck parts service or go to Parts. In the event that your truck breaks down while on the road, we offer road side assistance 24/7. If we can’t get fix your truck at the side of the road, we can tow your tractor trailer and repair it at our shop! 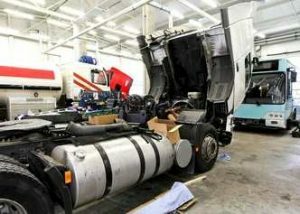 We have a full-service repair facility that are staffed with fully qualified diesel mechanics. We have you covered from a minor adjustment to a major repair. Our parts department has the technology and expertise to find the right parts for you and get you back on the road as soon as possible! Read more about our Roadside Service.